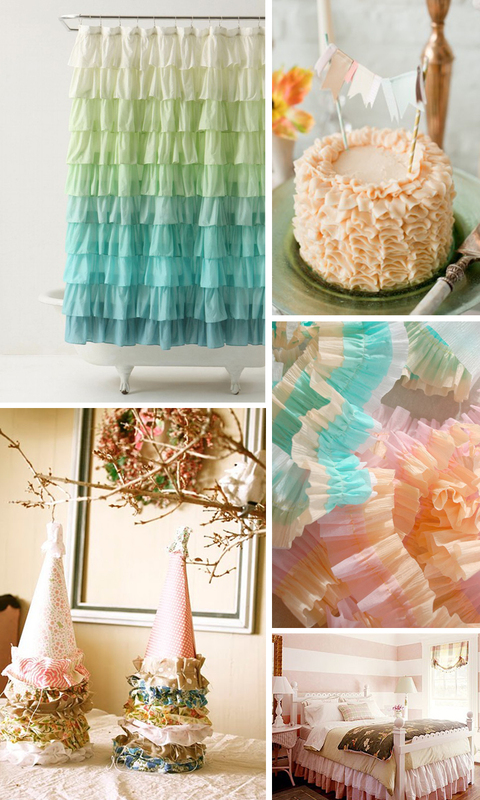 I've had ruffles on my mind lately so thought I would share some pretty ruffled images with you. They are so soft and feminine, especially in pastel tones. I love how rhythmic they are, flowing into each other.